If you enjoy the scent of black licorice, then it could be a good day for you to use Anise (Pimpinella anisum) essential oil. The oil, steam-distilled from Anise seed, has an aroma that is licorice-like, sweet and spicy. It is seen as calming and uplifting so it may brighten your day. In Aromatherapy, Anise is also used for respiratory illnesses. Julia Lawless says it helps with bronchitis, colds, coughs, and flu. If you have a dry cough or feel a cold coming on, you can add Anise to a diffuser along with other essential oils such as Cedarwood (Cedrus atlantica), Lavender (Lavandula angustifolia) or Pine (Pinus sylvestris). They may ease your breathing and help you to relax and sleep. Lawless also mentions that Anise essential oil is good for rheumatism and reducing muscle spasms. If mixed in a lotion with Black Pepper (Piper nigrum) and Ginger (Zingiber officinale), it would make a soothing muscle rub. These oils could also be added to the bath in a carrier oil, but be sure they are highly diluted as the blend can potentially cause skin irritation. Another important caution for Anise essential oil comes from Essential Oil Safety which lists contraindications as “pregnancy, breastfeeding, endometriosis, estrogen-dependent cancers, children under five years of age.” Anethole, the oil’s main constituent, showed estrogenic activity in testing, leading to the concern in conditions affected by excess estrogen. However, this same activity suggests the use of Anise in clinical Aromatherapy to modulate reproductive hormones. 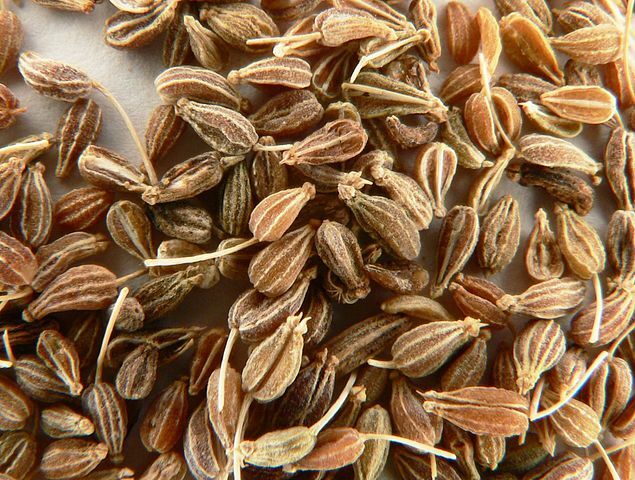 Just know that continued use of Anise is best under the care of a skilled professional. On a fun note, the licorice odor of Good and Plenty candy was shown to cause sexual arousal in women. Maybe that’s the reason why Anise essential oil is sometimes seen as an aphrodisiac, or it could be based on the oil’s affect on estrogen. Though I would guess that if you are diffusing it in the bedroom to get over a cold that the sensual side of the scent would be nullified.